What course will you set? Peace and Global Studies? Environmental Studies? Neuroscience? Maybe you’ve never heard of Border Studies or encountered a major in Human Development and Social Relations. At Earlham, you will. The College’s program offerings will introduce you to new concepts and ideas and even carry you to new lands and continents. 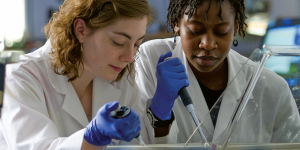 A key component of this initiative is the EPIC Advantage, Earlham’s commitment to fund an internship or research experience for every student. EPIC is also designed to help students connect disparate experiences—like an internship, a summer research experience, an off-campus program, traditional course work, and even extracurricular activities—into a comprehensive experience. Among the core features of EPIC is the Integrated Pathway. 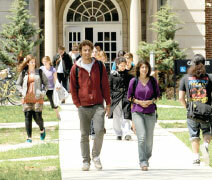 Besides choosing a major, students also select a set of four to six thematic courses, called an Integrated Pathway (IP). The IP experience is designed to help students make intentional connections between their academic interests and possible careers. A global perspective comes naturally to the campus community. 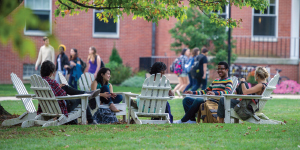 Earlham is ranked fifth by U.S. News & World Report among liberal arts colleges for its percentage of international students enrolled.